Peppi’s is a “National” diner built in the 1940s. It was originally Scotty’s Diner. 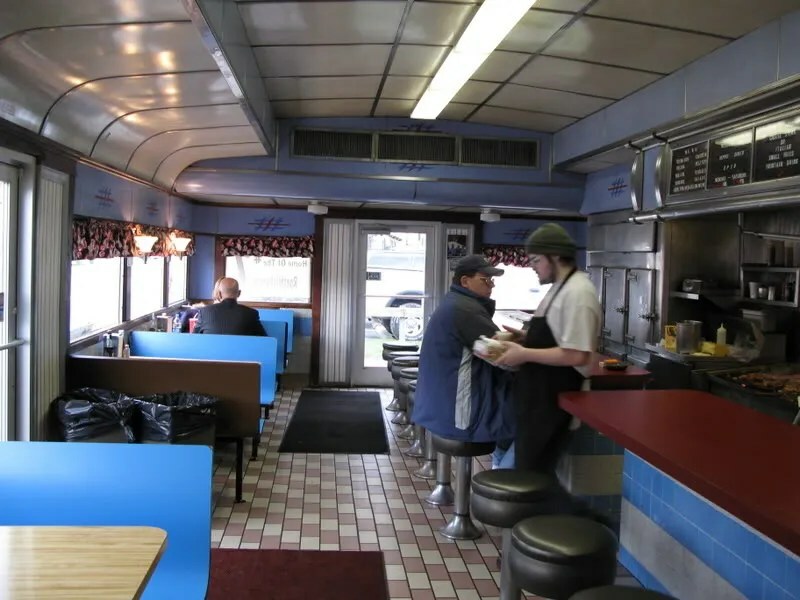 It is currently operating as a location of Peppi’s Old Tyme Sandwich Shop, but it is still very much a diner in setup and feel. Most importantly, the food is still cooked behind the counter. When I was there, I had one of the best cheesesteaks I had ever eaten. The food is truly delicious. The diner itself is a little rough around the edges, as you can see, especially the outside panels, but it has character. The interior is a beauty of design, with the geometric patterns in the formica, the stainless work, seen here, photo by Brian Butko, or the winged clock, seen here. It’s interesting that the door frames are still very old style dark stained wood with molding. The diner has original tiny bathrooms to the right, as you can see in the exterior shot from the window delete. 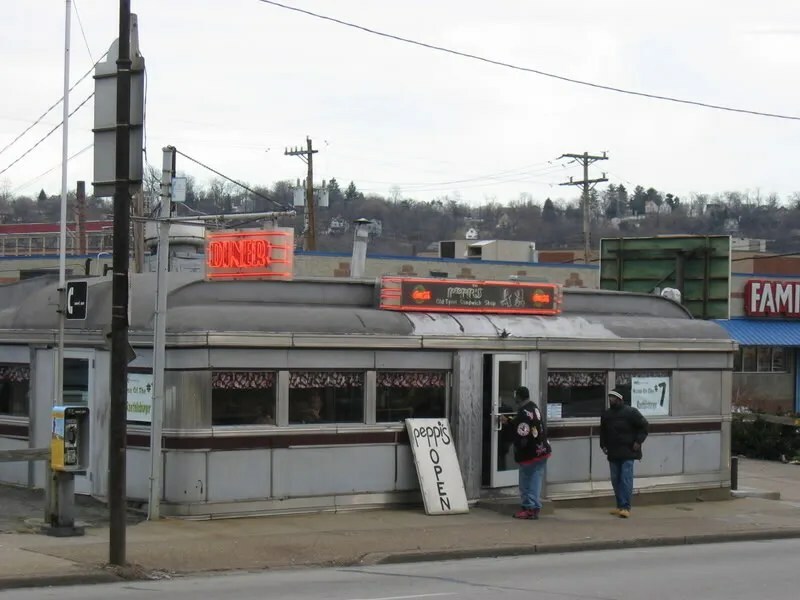 This entry was posted in Diners / roadside related, Diners/ restaurants, Fodero, Roadside attraction and tagged Charlie's Diner, diner, Fodero, Fodero Diner, Fodero Dining Car Company, formica, Joseph Fodero, National, National Diner, neon, PA, Patriotic, Pennsylvania, Peppi's Diner, Peppi's Old Tyme Sandwich Shop, Pittsburgh, Pittsburgh PA, Pittsburgh Pennsylvania, Scotty's Diner, stainless, Tierney, WWII by Spencer Stewart. Bookmark the permalink. Does anyone know where this is located in Pittsburgh? The address is in the post.